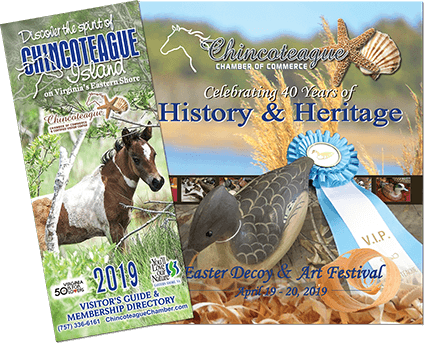 The Chincoteague Seafood Festival is held the first Saturday in May to promote the seafood industry on Virginia’s Eastern Shore. The festival offers fresh, local seafood and will include exciting offerings and signature dishes from local restaurants as well as old and new Eastern Shore favorites prepared by famous festival cooks, volunteers, and professionals. Indulge on little neck clams, a long-time festival staple, along with raw oysters and clams, clam fritters and strips, single fried oysters, fried fish, steamed shrimp, clam chowder, salad bar, grilled chicken, sweet potato fries, Boardwalk fries, hushpuppies, and cornbread. Non-alcoholic beverages are included in the ticket price with beer available for purchase. Front Page News will provide live entertainment for everyone’s listening and dancing enjoyment. Shop to your hearts content in the Arts and Crafts tent featuring handmade creations from area artisans. An Extravaganza Raffle is held with the winner receiving t-shirts, tickets, trays, lodging, gift certificates for meals, and much more for the following year’s festival. There will also be a variety of souvenirs available for purchase. Please note ALL TICKET SALES ARE FINAL! Event is held rain or shine. Every attempt will be made to have the festival on the date and time advertised, however circumstances beyond the Chamber’s control may require rescheduling or delay. No refunds will be issued in such case. Tickets are limited, so order early!!! This is a sell out event! 10:00 am – Gates open (NO EARLY ENTRY FOR SETUP) Any items set up prior to 10am on festival day are subject to removal. All e-tickets must be scanned either by our volunteer scanners at the entrance of Toms Cove Park or at the Will Call tent to acquire festival wristband. All attendees must have a festival wristband prior to entrance to festival grounds. Attendees can come and go to the festival grounds from 10am – noon. No re-entry to festival grounds after noon. Upon leaving festival grounds, wristbands will be cut. All attendees age 21 and over MUST provide a photo ID at the beer tent in order to purchase beer. No exceptions! Beer tent and some Arts & Crafts vendors only accept cash, so please come prepared! Due to the popularity of the seafood we offer, we cannot guarantee that each item will be available up until 4pm. Eat all you want, but please do not remove food from the festival grounds. No pets, vehicles, golf carts, one wheels, bicycles or fire pits/rings are permitted inside the festival grounds for safety purposes. UPON PURCHASE OF TICKET(S), YOU UNDERSTAND AND AGREE TO ALL THE ABOVE MENTIONED TERMS AND CONDITIONS. We thank you for cooperation in making this a wonderful festival! See you on festival day! Tickets are no longer being sold in outlets. Tickets can be purchased by clicking the ‘BUY NOW’ button, calling 757-336-6161 or stopping by the Chamber office, 6733 Maddox Boulevard, Chincoteague. 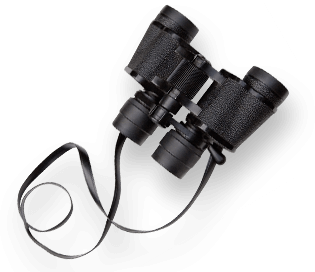 Looking for a great way to spotlight your business or organization? or as a “Friends of the Festival” sponsor. Click here for the 2019 Seafood Festival Application. The Chincoteague Ponies will swim across the Assateague Channel just south of Memorial Park (7427 Memorial Park Dr, Chincoteague Island, VA 23336) on the east side of Chincoteague Island. At “slack tide” – Time to be announced at a later date by Chincoteague Volunteer Fire Company. The Chincoteague Ponies will swim across the Assateague Channel just south of Memorial Park (7427 Memorial Park Dr, Chincoteague Island, VA 23336) on the east side of Chincoteague Island. There is no charge by the Chincoteague Volunteer Fire Company for parking or seeing the ponies swim. The ONLY parking at Memorial Park, however, is designated for tour buses. All those seeking handicap parking and all day-trippers are encouraged to go to Municipal Center (6150 Community Drive, Chincoteague Island, VA 23336) and catch the free shuttle. There will be a handicap accessible bus for your convenience (click here for shuttle information and link to official shuttle map). Those staying on the island may catch a shuttle bus near their lodging. The first foal to come ashore will be named King or Queen Neptune and will be given away in a raffle drawing at the carnival grounds later in the day (time to be announced). Tickets are sold each night at the carnival and amongst the crowd while waiting for the swim to occur. You must have a ticket and you must be present to win. After swimming the short distance across the channel, the ponies will rest for approximately 45 minutes to an hour before “parading” to the carnival grounds on Main Street. See shuttle bus map below for parade route. The carnival will open at 7:00 p.m. with rides, games, and lots of good food. Note: Pets are not permitted in Memorial Park or the Carnival Grounds. 7:00 p.m. – Carnival attractions. Click here for detailed Pony Swim shuttle map. Tickets are limited for the Oyster Festival, so purchase yours before they sell out! Floats, bands, fire companies from all around the Eastern Shore & a special visit from Santa. 7 pm. Main Street. Police Department Annual Poker Run for the Kids: Chincoteague Police Dept. Tryfan Gallery: Watercolor class - "Magic Snow"
Chincoteague Cultural Alliance - Bingo!